Kids are Leaders recognises the importance of safeguarding your personal information. 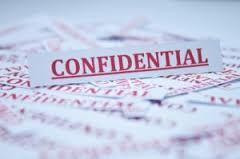 We will not disclose the information to any person except as authorised by you or as required or authorised by law. Kids are Leaders may vary these terms and conditions from time to time. If this occurs the new terms and conditions will be updated and made publicly available on our website. We have made every effort to ensure that the information presented on the Kids are Leaders website is correct and up to date. Kids are Leaders accepts no responsibility or liability for the public’s misuse or misinterpretation of the information provided. We encourage you to contact us by phone on +61 411 731 600 or by email via: kidsareleaders@icloud.com before making any final decisions based on the content on this website.